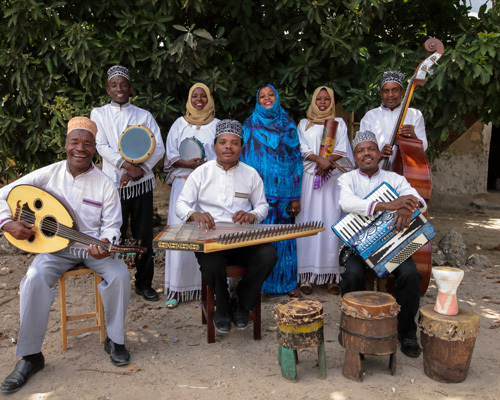 Mtendeni Maulid Ensemble from Zanzibar has been invited to perform once again at the prestigious Festival des Musiques Sacrées du Monde, which takes place annually in the ancient city of Fès, Morocco. Mtendeni’s “Maulidi ya Homu” performance will be part of a special night devoted to Sufi performances from the African continent. 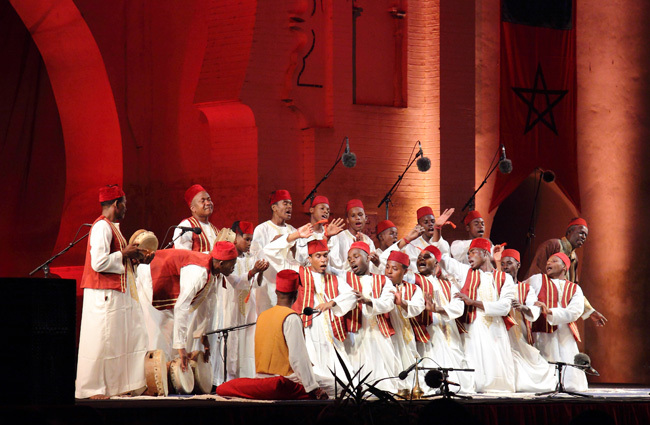 Besides Mtendeni At the heart of Sufi Africa will feature performers from Egypt, Morocco and Senegal. Lionel Martin’s Ouch ! Records has released a double vinyl selection of tracks from our Zanzibara Series (Buda Musique). 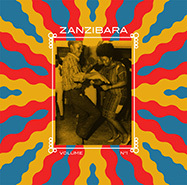 Titled Zanzibara Vol. 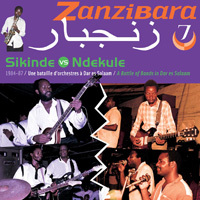 1 it features tracks from the first nine Zanzibara CD releases. 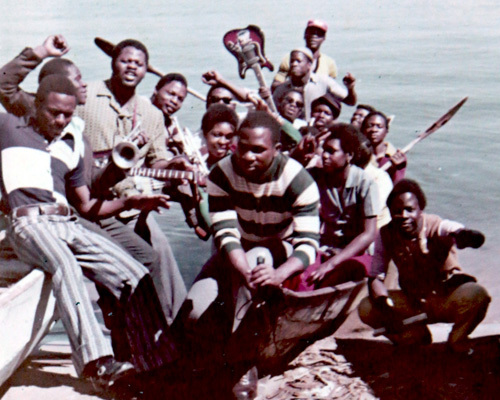 Included are tracks by Tanzanian muziki wa dansi artists from the 1960s through to the 1980s (including Mbaraka Mwinshehe & Super Volcano, Mlimani Park Orchestra, Marijani Rajab & Dar International, Salum Abdallah & Cuban Marimba, Juwata Jazz & International Orchestra Safari Sound), as well as taarab recordings by Zuhura Swaleh, Matano Juma, Ikhwani Safaa and Bi Kidude. More information and complete track listing on Ouch’s Bandcamp space. Zanzibar’s leading taarab ensemble Rajab Suleiman & Kithara are set to perform in Australia for the first time. Lead by qanun virtuoso Rajab Suleiman, Kithara also features star singer Saada Nassor. Their performances will be at at WOMADelaide, March 10 and 12, 2018. Qanun virtuoso Rajab Suleim and his group Kithara are touring in Europe this July, playing some major festivals like Afrika Festival Hertme (NL), San Sebastian Jazz Festival (ES), Womad in Charlton Park (UK) and Sfinks Mixed in Antwerp (BE). “Speed, heat, and swagger. 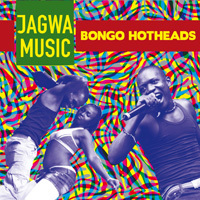 Tanzania's Jagwa Music bangs out a hard-won celebration as screaming hot as a jet engine.” The group will be touring in North America for the first time, notable events are: Millenium Center, Washington, DC (October 1), Le Poisson Rouge, New York (October 5), Joshua Tree Music Festival in California (October 8). 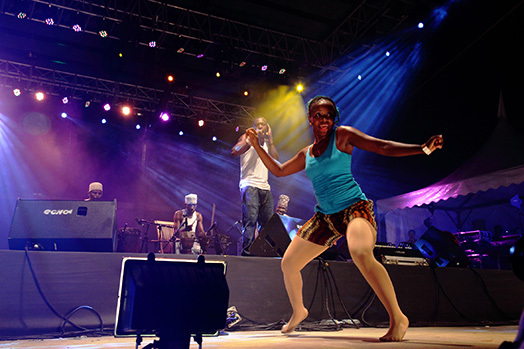 Jagwa Music’s trip is part of a Center Stage touring programme featuring artists from Algeria, Pakistan and Tanzania in the 2016-17 season. More information on the tour can be found here. Mtendeni Maulid Ensemble will perform at the 13th edition of the Konya International Mystic Music Festival in Turkey on September 27. “A renewed taarab reinvigorates Zanzibar’s syncretic signature sound.” Rajab Suleiman & Kithara make their U.S. debut tour in 2016, as part of Center Stage, an exchange program of the U.S. Department of State’s Bureau of Educational and Cultural Affairs, produced by the New England Foundation for the Arts. More information on the tour here. It is with sadness that we learn of the passing of ‘ud-master Zein l’Abdin and revered taarab songbird Shakila Said. Zein passed away in his home on Ndia Kuu in Mombasa’s Old Town on June 27. He was 77. Born in Lamu in 1939 Zein became one of the mainstays of the Mombasa taarab scene in the early 1960s. An accomplished ‘ud-player – actually without peers in the world of taarab-singer and composer he led the Zein Musical Party, which at times in the 1960s and 1970s included singers Zuhura, Malika and Maulidi Juma who would all become stars in their own right later on. Zein’s international recognition was set in motion with a recording for the pioneering GlobeStyle label in 1989. He toured in Europe in 1993, 1996, 1999 and 2004 and recorded a second album “The Swahili Song Book” in 1999. An obituary with details of Zein’s biography can be found here. 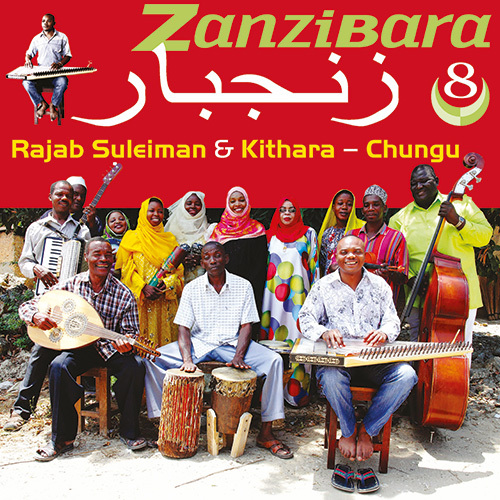 Some of Zein’s earliest recordings also featuring Zuhurah Swaleh can be found on Zanzibara 2. Shakila Said (who passed away in Dar es Salaam on August 19) rose to fame with the Tanga-based Black Star and Lucky Star Musical Clubs in the late 1960s and early 1970s, major innovators in the history of taarab music. Shakila’s clear high-pitched voice graced many of the time’s biggest hits. She had a big comeback in the 1980s when she joined JKT Taarab in Dar es Salaam, at the time Tanzania’s biggest and most popular taarab orchestra. A sampling of Black and Lucky Star takes, featuring Shakila among other singers can be found on GlobeStyle’s “Nyota” (1989). In the sidebar is a link to one of Shakila’s best-known songs “Mapenzi Yamepungua”, performed with the Rajab Suleiman Trio at the Fès Sacred Music Festival. 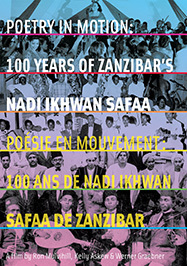 Ikhwan Safaa Musical Club, Zanzibar’s oldest taarab orchestra and social club, celebrated its 100th anniversary in 2005, distinguishing it as one of the oldest orchestras in the world today. Nadi Ikhwan Safaa performs a genre of Swahili poetry sung to instrumental accompaniment known as taarab. Taarab traces its roots to musical and poetic traditions of Africa, Arabia, and South Asia, thus is a true expression of the ethos of Zanzibar’s and the East African coast’s Swahili culture. The film traces the evolution of the club through interviews, old video footage, portraits of some of the leading figures in the club’s history like the orchestra’s bandleader in the 1950s Abdalla Buaisha or the club’s first female singer Nihifadhi Abdallah. It also features footage from the club’s 2005 anniversary concert with singers Maulidi Mohamed “Machaprala”, Rukia Ramadhani and Mohamed Ilyas. The DVD will be released by Buda Musique in April 2016. 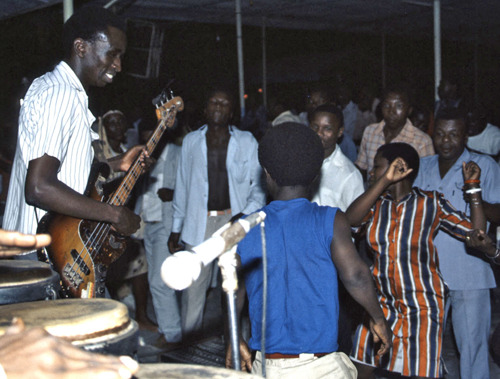 Tanzania’s Mbaraka Mwinshehe rose to fame in the early 1970s to become the most popular dance music act in East Africa with frequent touring across Tanzania and neighboring countries, especially Kenya. 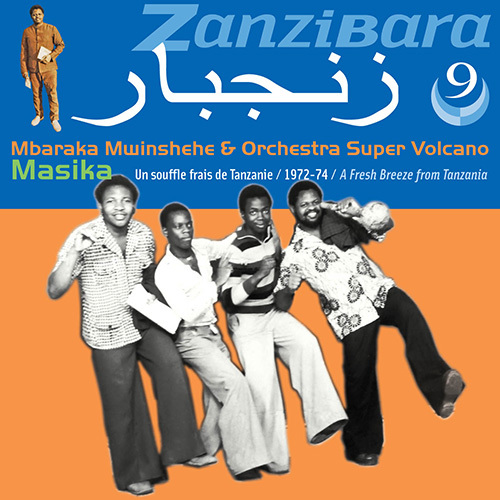 Orchestre Super Volcano was formed in 1972 and this collection features the group’s initial recordings and their new dance style “Masika”. Available from Buda Musique.